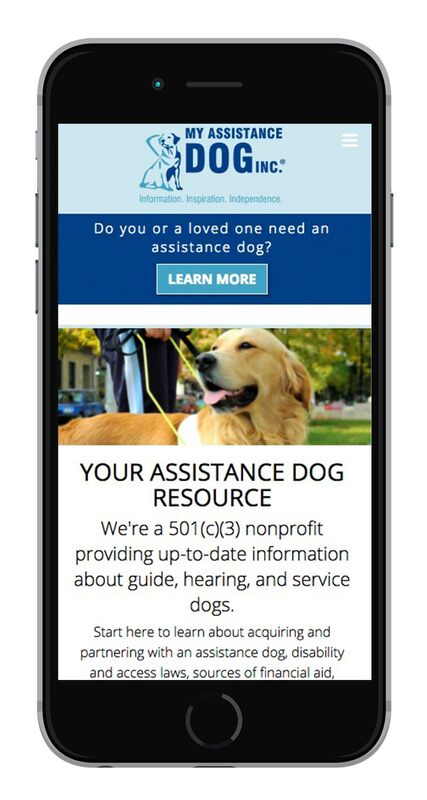 My Assistance Dog is a nonprofit providing information and spreading awareness about guide, hearing, and service dogs that improve independence and quality of life for people with disabilities. 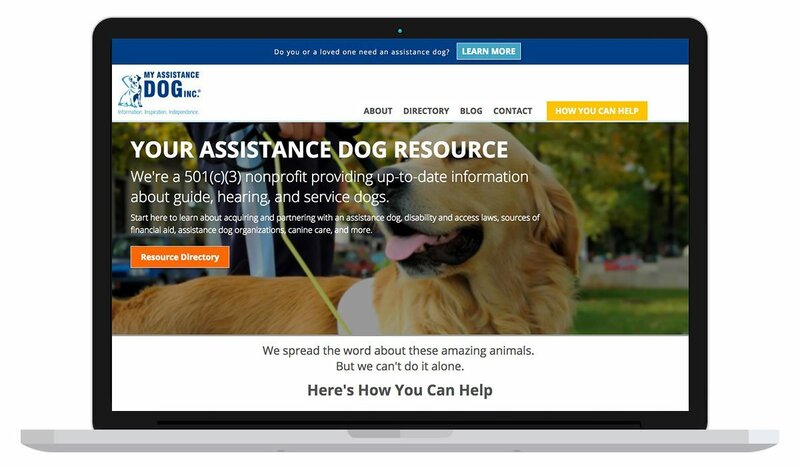 My Assistance Dog was founded by Ed Crane, a longtime assistance dog partner, in response to the difficulty of finding extensive reliable assistance dog information and resources in one place. 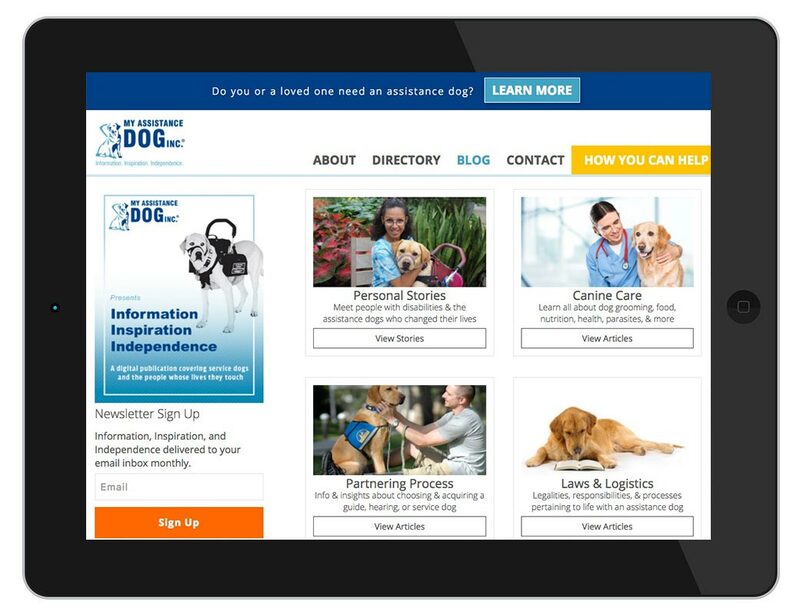 We were enlisted to build a user-friendly website to serve as a comprehensive resource for those who have or could benefit from an assistance dog. Plus, it would be a platform for increasing awareness about these amazing animals and the rights of those partnered with them. We built a streamlined site with two primary information drivers: a resources section and a digital magazine. 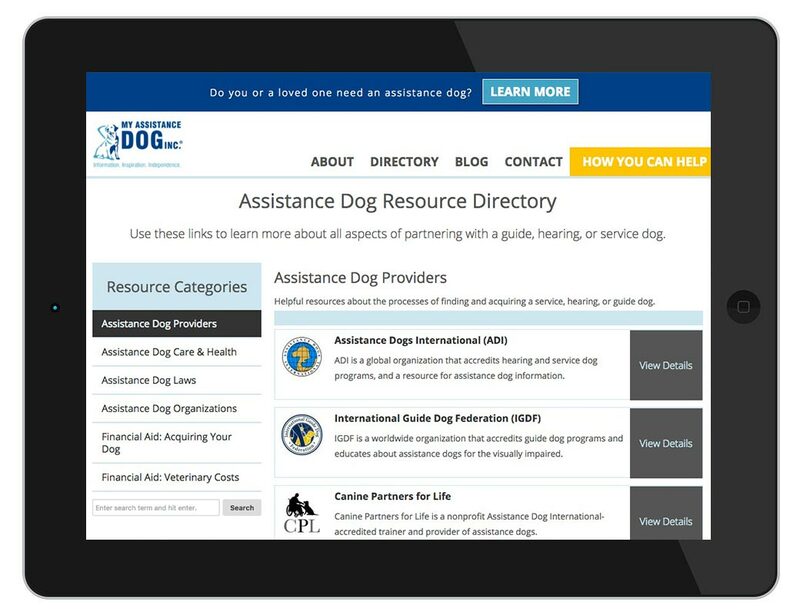 These make it easy to search through a wide variety of comprehensive information about assistance dogs, including acquisition, financial, aid, care, legal issues, and more. Fortunately, people partnered with assistance dogs and their families are passionate about their canine companions. In particular, we found that they’re eager to support efforts to better inform the public and business owners about their access rights under the Americans with Disabilities Act, as well as to publicize all the incredible things assistance dogs do. We’ve been quite successful at tapping into that enthusiasm and bringing people together into a true community around social media and an email list. Our digital ads and content marketing have been instrumental in this regard. 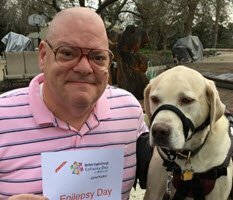 Our efforts have brought Ed considerable attention and opportunities from national and international assistance dog organizations and lawmakers in his home state of California. 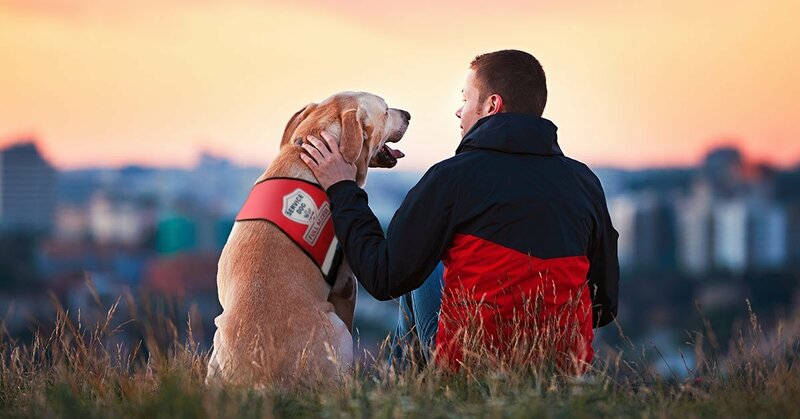 In only about two years, he has become a major voice for assistance dogs and their human partners. In addition, the numbers to the right speak to our success. After doing proper research and due diligence on CREATE180 Design, I contacted and discussed my thoughts and needs for my website and I immediately knew at that moment that I found the proper website design company to fulfill my needs. I’ll never forget that James Pennock, Accounts Manager, advised me that “my website had to make an emotional impact that reflects favorably on our brand.” At that moment I knew that I was dealing with the correct professionals to suit my needs. We worked closely together over a number of telephone calls and emails (we are a California based company) to make sure the website design fit all of our needs. The final design that was completed, “beat all our expectations”. Between just the site layout and it’s ease of use, all of the responses we have received from the public, reflect that it is the solution they are looking for to suit their information and service needs. The repeat usage of the site is very rewarding.